Elite Compact 4 x 6 Greenhouse: This 4 x 6 greenhouse is ideal for smaller gardens where you do not have the width space available for a larger greenhouse, the width of the wall with the double door is 4ft 3ins and the length is 6ft 5ins. 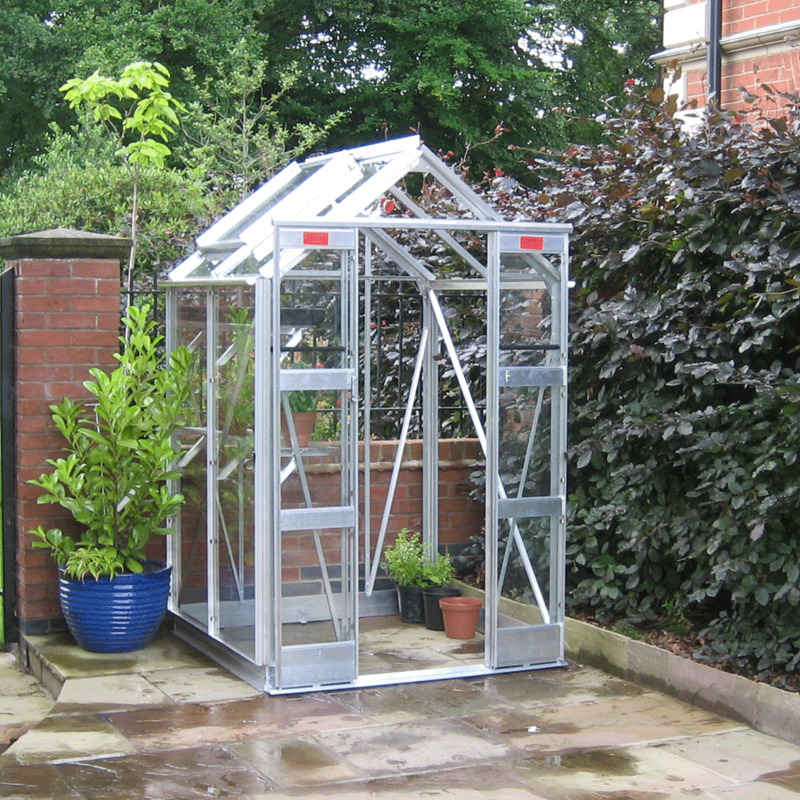 Despite its compact size this greenhouse has plenty of growing height with a generous eaves height of 1.5m and a ridge height of 2.1m to enable you to grow upwards. This Elite greenhouse comes with comprehensive instructions for self-assembly and includes a 10 year manufacturer’s warranty for assurance of quality. This compact greenhouse includes 1 x roof vent, an integral base, integral gutters and double doors which are lockable by the included keys. Customise your greenhouse glazing style with the choice of 3mm horticultural glass, toughened safety glass or 6mm twin wall polycarbonate then select from the broad range of attractive colours of powder coated aluminium finish or keep the greenhouse with its original unpainted aluminium finish.